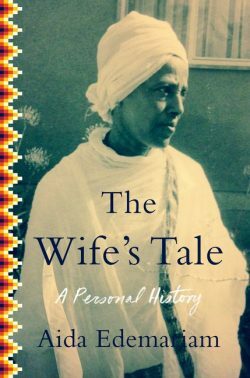 We talk with Aida Edemariam about her memoir, The Wife’s Tale: A Personal History. It’s about her Ethiopian grandmother who, over nearly a century of living, experienced the transformation of Ethiopian society and her place in it. What is it like to live through nearly a century of transformation from a medieval feudal society to one that is fully part of the modern world? And to do it from the point of view of a woman in a society where women are second-class citizens? That’s the story that unfolds in lyric and fascinating detail from the pen of Aida Edemariam in The Wife’s Tale. It’s the story of her grandmother Yetemegnu, born into a socially prominent family in Ethiopia around 1916, married at eight and mother at fifteen. The social convulsions of Ethiopian society led to her husband’s imprisonment and death. She also experienced the deaths of several of her children and the imprisonment of another. How she confronted these challenges changed Yetemegnu profoundly, echoing the changes of the world around her. She was a woman of great sorrow but also great joy, beset by fears yet indomitable. She excelled in the domestic wifely arts but also became a businesswoman. And she was a great storyteller. The New York Times called The Wife’s Tale “a sublimely crafted tribute” to the author’s grandmother. But it is much more — a vivid portrayal of Ethiopian society, customs, food and history through a century of turmoil and change. The book is a finalist for the Governor General’s Literary Awards of Canada. Aida Edemariam is of dual Ethiopian and Canadian heritage. she is currently a senior feature writer and editor for the Guardian in the UK. Before there were the apples of Washington State, there were the apples of New England. Johnny Appleseed himself came from Leominster, Massachusetts and before him — in fact, almost as soon as the Puritans had touched ground at Plymouth Rock — apple trees were brought to the region from England. 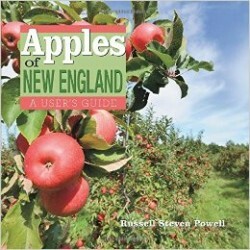 Russell Steven Powell is the perfect person to the write the story of the New England apple. A writer, visual artist and a magazine publisher, he has devoted his talents to bringing the unique sense of place of the New England landscape to a larger audience. He was the publisher and editor of New England Watershed, a journal of culture, art and ideas. Hi Francesca! I love your show & have been listening to it for well over a decade. Thank you for your interviews – aired on our local low power community radio station. I have less time to read and so it’s wonderful to hear from authors and about books I may never get a chance to look at. And even better to hear from & about authors I do get to read!! Sure thing! Thanks for listening and airing the show!